Thanks to all the users to help the game reach Top 10 games in US, Canada, UK, Australia, Singapore and many more countries. 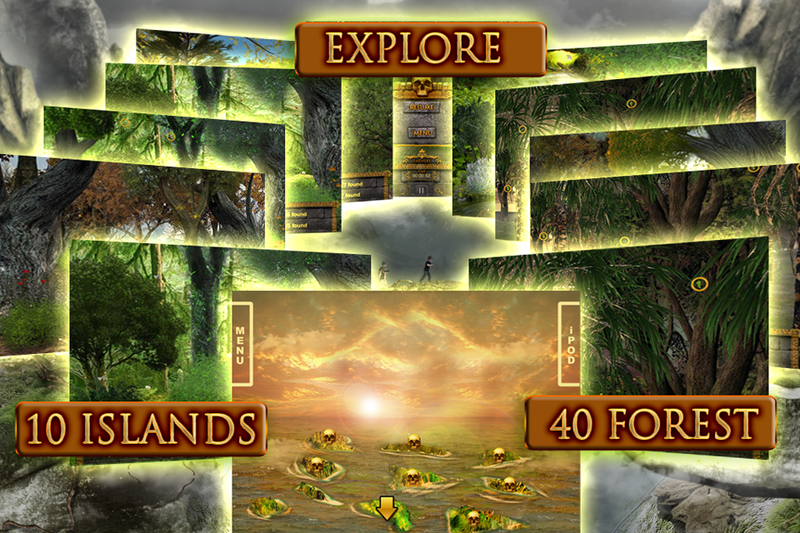 The Adventure begins and your seek-and-find skills will be challenged as never before as you go through 10 islands and 40 different forests. A group of three friends, Sam, Joe and Sarah, somehow finds an island after their boat sank into the sea. 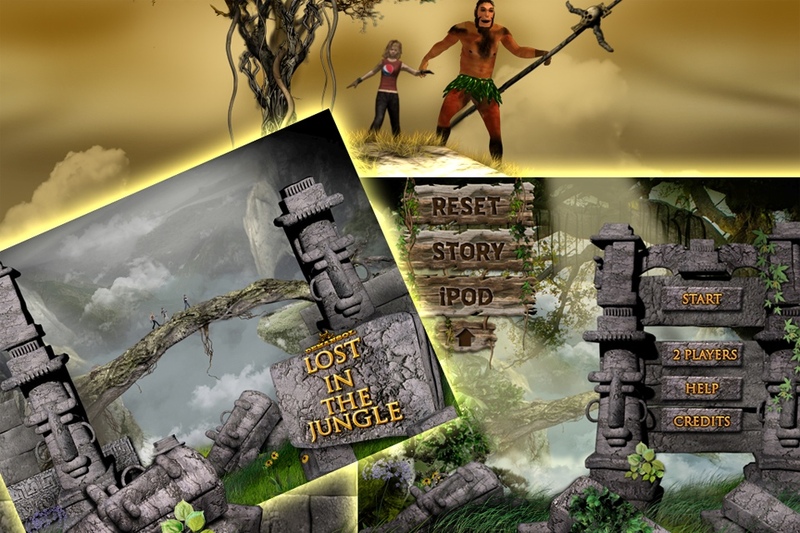 The island is covered with thick forest and the trio entered the jungle to look for some help, but their bad luck brings them to a secret tribal village. Getting disrupted by the presence of the intruders, the tribal’s make them captive and start threatening to kill them. However, after being pleaded by the trio repeatedly, the tribal leader decides to let them go on one condition. Sam and Joe will be taken to 10 different islands. Each island has four different forests full of valuables, which include food items, swords and jewels etc. 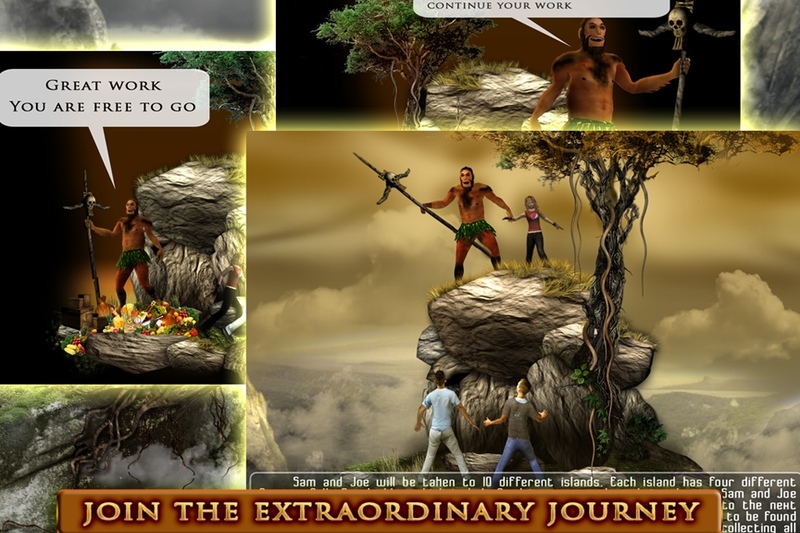 Sam and Joe have to collect those valuables from all four forests and will be taken to the next island and so on. As they go on visiting the islands, the number of valuables to be found will increase in number. After visiting all the 10 islands in order and collecting all the valuables, the trio will be released. * Resume the game from the last forest. Play head to head multiplayer with family/friends on the same iPad. Find more objects before your opponent! 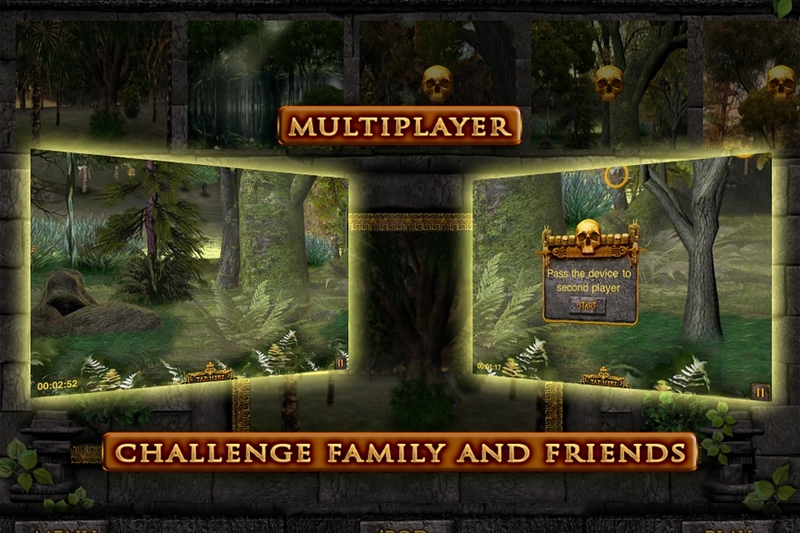 Play multiplayer with family/friends on the same device as a turn based game. Find more objects in a given time and handover the iPhone/iPod to opponent and let him try to beat your time or number of objects. 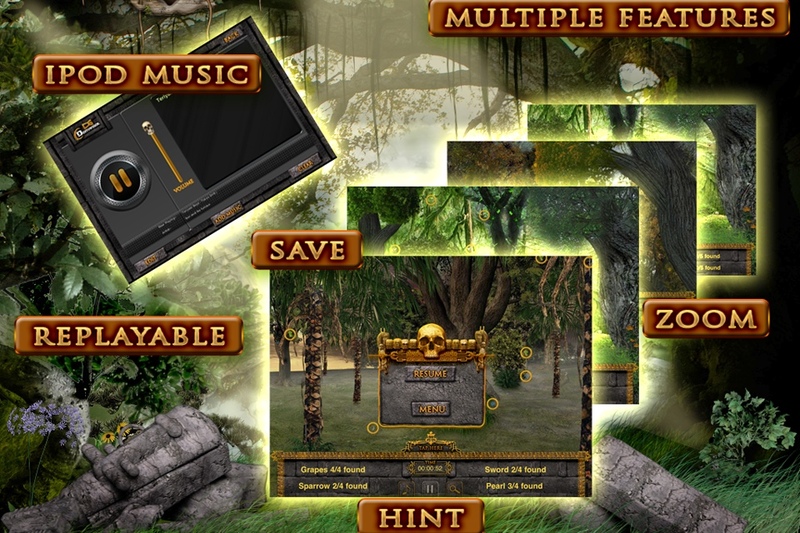 Pandora Puzzle Box – 3 puzzles in one.